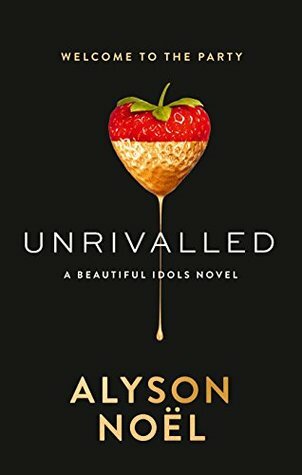 From #1 New York Times bestselling author Alyson Noël comes the first book in the Beautiful Idols series. With mystery, suspense, and an insiders-only look at Los Angeles that echoes Gossip Girl’s racy and real New York, fans of Pretty Little Liars and readers who crave pulse-pounding romance will love Unrivalled. Just as their hopes begin to gleam like stars through the California smog, Madison Brooks goes missing. . . . And all of their hopes are blacked out in the haze of their lies. First of all, I want to thank the person who is responsible and makes this blog tour happen. It is a good opportunity and an honor to join here. I also want to thank MIRA Ink for my book copy in exchange for an honest review. Thank you so much for trusting this book to me. With all honesty, I am not sure where to begin my blog post. It's hard to think of the appropriate words for this, why? because this book is GREAT! When I was reading the first few chapters I already knew that I'll enjoy reading it, I keep an eye on every character like what will happen in their own personal lives after the competition and I can't help wondering who will succeed? who will fail? As a reader, I can’t help myself to have different opinions on the characters and as the story goes on, you’ll notice that every one of them grows, I mean they change, they learn but the downfall is that some of them drag people down just to win. Layla wants to be a reporter and attends a journalism school, she can’t do it because one she has to be separated with her boyfriend and second her lack of money. She’s got accepted as one of Ira Redman’s club promoter and with that, her life changed in an instant. Aster is an aspiring actress who will do anything to reach the fame she’s been eyeing for so long. Despite her family wealth, she still works for herself just to reach her goal to be an actress and with that, she joined Ira’s team with a mindset that she’ll be getting famous. Tommy, a simple man who works in a music shop until Ira Redman found him. Ira visited the music shop where he works and decided to get the guitar that Tommy badly wanted, it caused him trouble when he refused to sell it but gave it away in the end. He joined Ira’s team thinking that it may be a good opportunity to tell him the truth about who he really is. Before I end this, I also want to tell something about the book cover… IT IS STUNNING! The black cover and the white one looks so elegant. The cover is simple yet catchy! I’m so in love with it and I really want to have both white and black covers. I need them!!! Once again, thank you and I hope I didn’t spill too much information because seriously? I had a hard time reviewing this, I can’t find the right words! The book is amusing, stunning and worth it.